Customers and prospects are demanding information and education before ever purchasing. This has never been more accurate than in today’s technology focused world. Educating your customers and prospects through lunch and learns on your services and products is very important to keep them informed on the newest development in the architectural, engineering, and construction industries. There are always new technologies, applications, materials, and processes that can be communicated to customers and prospects. When talking with an educated customer or prospect, they are more likely to understand the AEC processes when dealing with master planning, programming, design and construction delivery method, schedules, financing, and budgets. By educating your clients, it’s your opportunity to build that relationship and stay in front of your customers. When your customer or prospective has a need, you will be the first one they call. You will be perceived as the industry expert and, therefore, call you for additional information about the architecture, engineering, and construction process. Being top of mind is imperative in today’s overstimulated world. 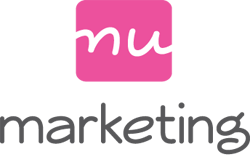 nu marketing will help you create a list of target customers, prospects, topic presentations, and gather feedback. These lunch and learns can be hosted at a variety of locations and cost very little. Hosting these at your office, your customer or prospects office, a local motel, or a conference center. The options are endless. nu marketing can help you assemble your next lunch and learn. Your firm can then convert these presentations to blog posts, white papers, or articles for an industry publication. Lunch and learns should be part of your marketing plan and can be very impactful when done correctly.